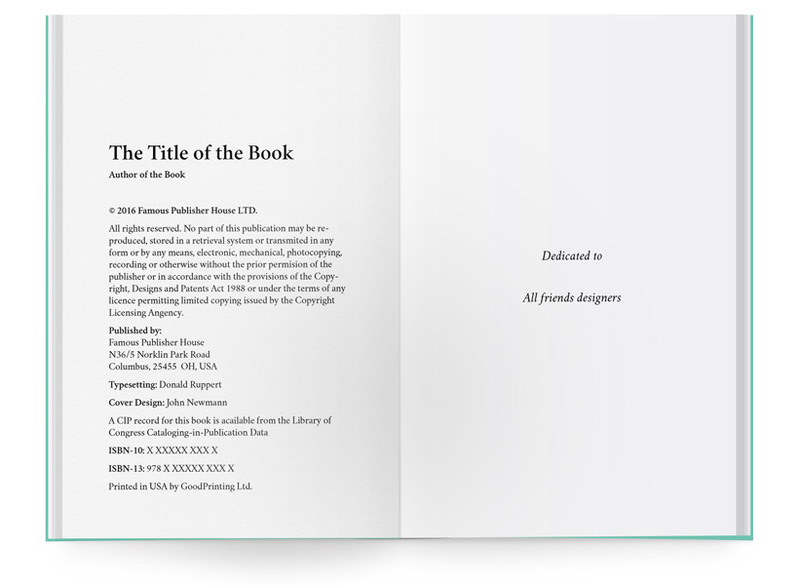 The most advanced book template. Ever! 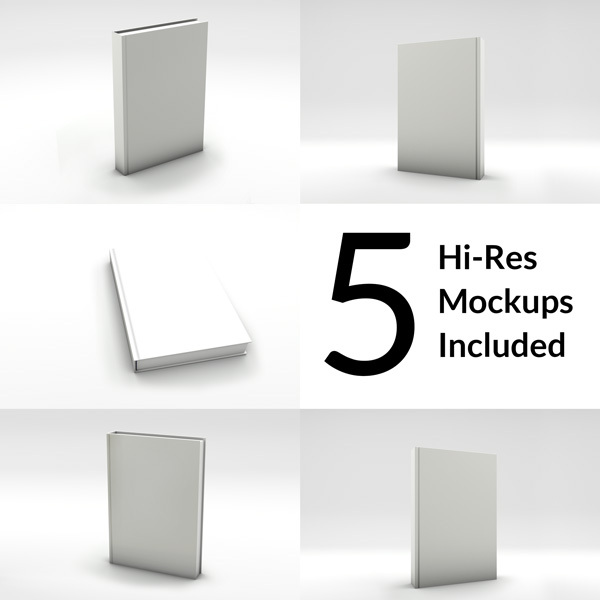 This template has more than 65 styles you need to make your work easier. Everything set for printing. You can even choose among various book formats. Making ebook also? 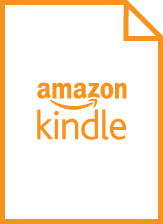 Then grab Pro version with Ebook Kit included. Made with pro features but also with beginners in mind. More than 65 Paragraph Styles! Use ’em all or just a bunch. There is probrably no need to locally override text. Just take a look at our styles and you will find some appropriate. If you think we are missing some important style, just let us know and we will maybe include it in our update. In Pro version of this template, all styles are tagged for export. Beginners, force yourself to use them as much as possible. 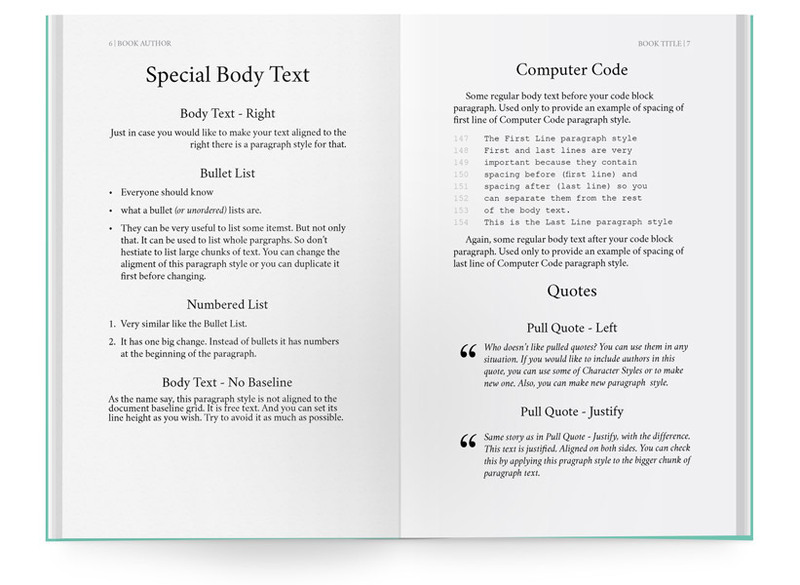 Included Character Styles for essential text typesetting. Many Paragraph Styles are using this styles foor some parts. For example: Quoted text, Bullet List, Footnote reference, etc. are using Character Styles. When you import your text, you should search for all local overrides (bold, italic, etc.) and apply appropriate style. That way you can control typeface of text (i.e. All bold text can use semibold typeface set). All text shell be snapped onto! This template have a baseline grid which spacing is set exactly half the leading of the paragraph text. (approx. 7pt). 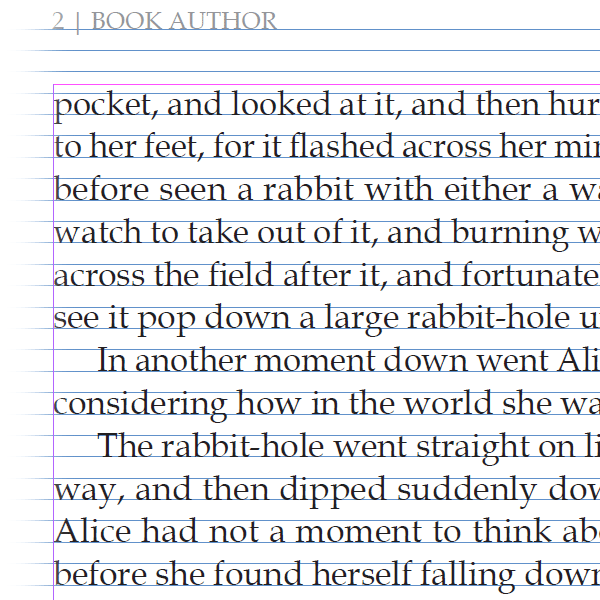 This ensures that all Paragraph Styles are beautifully aligned. Nothing can escape. If you do not like using Baseline Grid (which is not recommended), you can turn it of in Default paragraph styles. 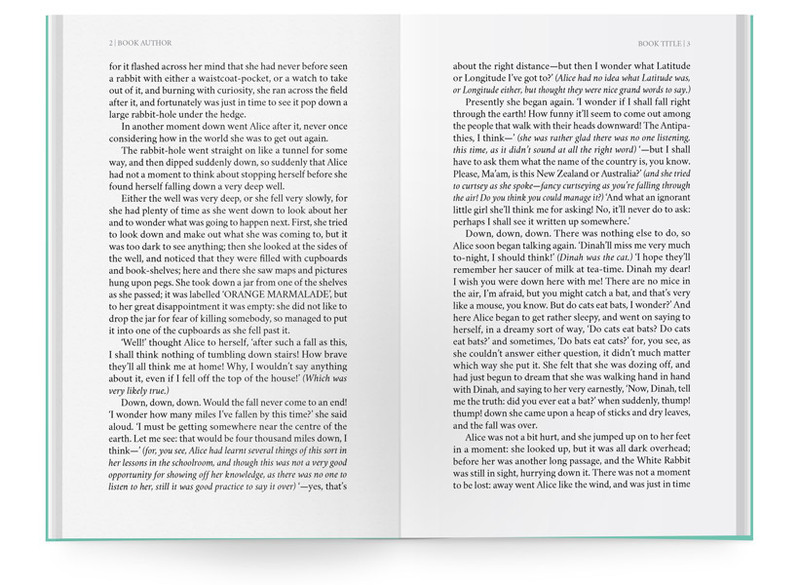 You do not need to worry if you decide to change the book size after you purchase the template. 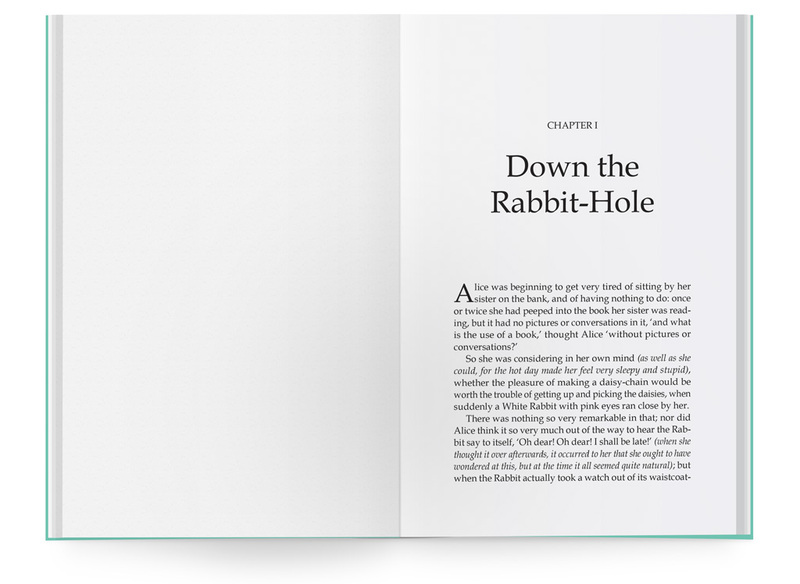 Three most popular book formats are already included in this template, so you can easily try & decide which book size you want to use. 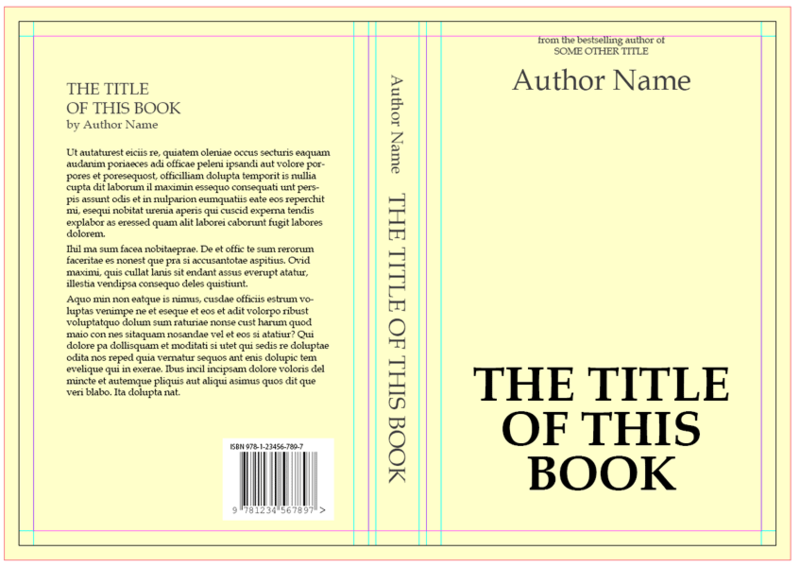 Professional version of this template is prepared document to be exported to ebook (epub and mobi – Kindle format). Everything is tagged, so your export can be flawless. Also there is custom CSS with all Paragraph and Character Styles included. 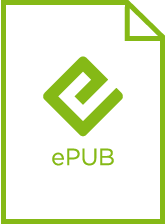 All you need to do is to fill up empty css selectors with your customisations, and do add that CSS during ePub export. property of their respected owners. Should you judge the template by its covers? Maybe you should not judge about the book by its covers, but when we speak about the template you really should. Don’t do it again! 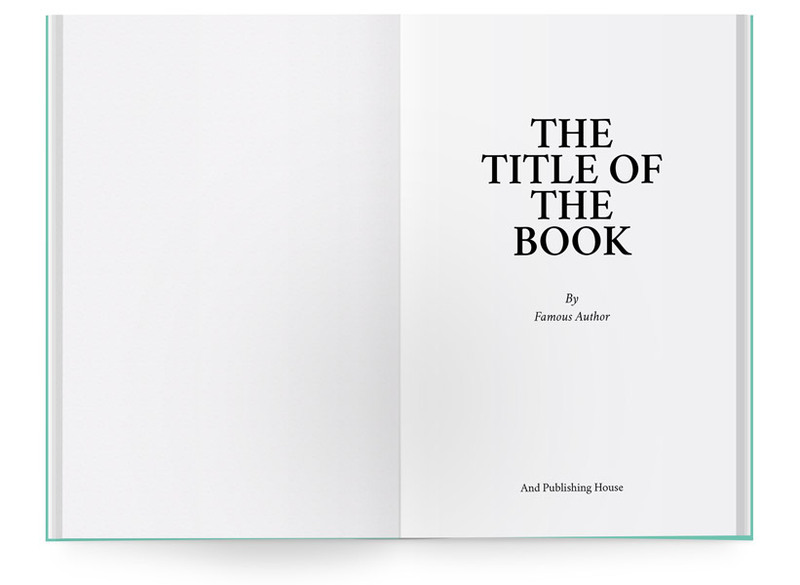 Professional version of this template contains 5 Hi-Res, original mockups of your book covers, so you can present it to your clients or public. Before you make the intelligent decision of buying this template, you may need more information about the template. We have a nice list of features for you. Take a look. 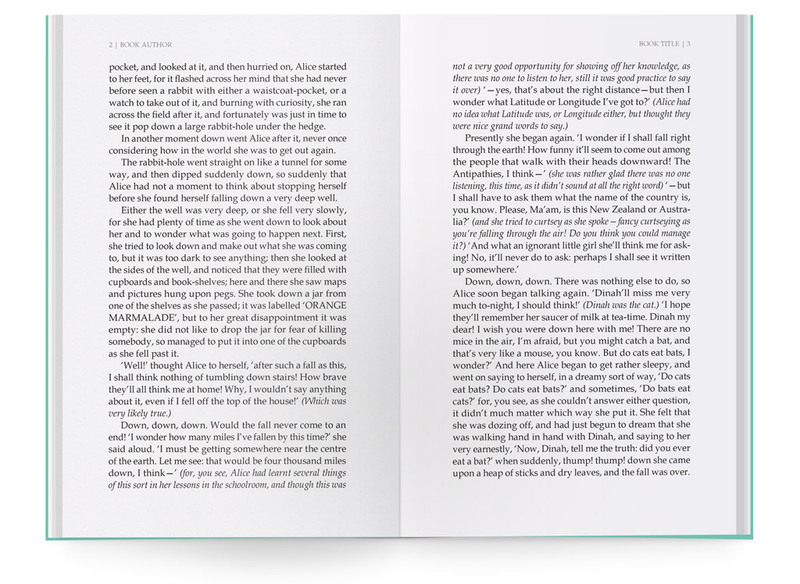 When you open Paragraph Styles you will find more than 65 categorized styles. Bigger sets have “Default” paragraph style for styles from that set. 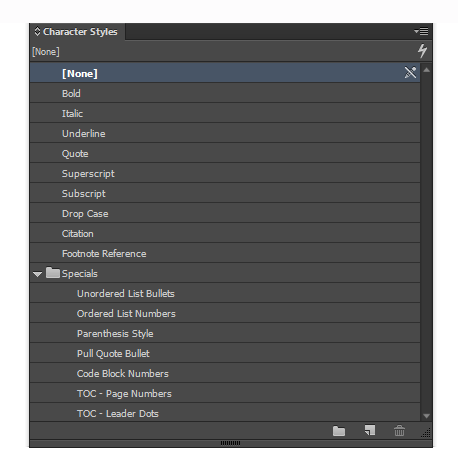 Included Character Styles for essential text typesetting. Many Paragraph Styles are using this styles foor some parts. This template have a baseline grid which spacing is set exactly half the leading of the paragraph text. (approx. 7pt). No need to tell you how important are master pages. We have separated layout from master page with overlay items. We have included few layers, so you can easily turn of overlay elements like page numbers and running header. Do not waste your time on making table of contents, we have done it already. All TOC styles included. Just play! To ensure you can do everything from scratch, you’ll find library with page layout, so you can just drag&drop. 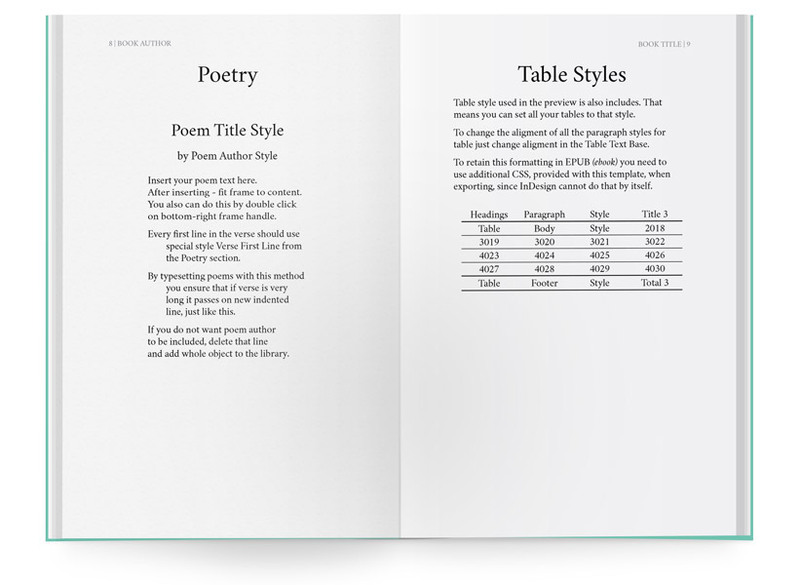 Basic table style is also included, and is applied even in ebook css kit, so your tables can look good in ePub. 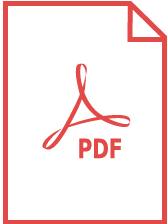 Tagged Paragrah Styles so you can easily export ebook. CSS Style included, just change it and apply it on export. 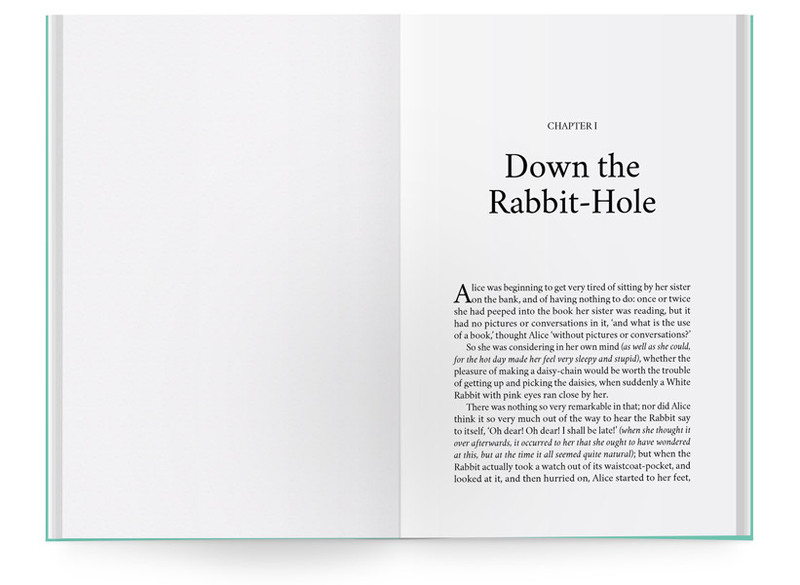 Cover Template in InDesign is included, so you can easily make your covers ready for printing or PDF export. Three most popular formats, so you do not need to worry if you decide to change the book size after you purchase. Want a real peace of action? Dive in! Take a look at video and then download demo files.